The Raccoon City Police Department (a.k.a. R.P.D.) is littered with useful items, so take a moment in each room to look around and gather up First Aid Sprays, Green Herbs, and ammunition, and make careful use of the storage box. You’re on the clock, but you might miss something useful or important if you try to rush through! Your map is a great way to tell if a room still has something left to be discovered in it, so be sure to check it often. Red rooms still have something left to find in them, and any item you’ve discovered but not picked up will be highlighted, too. Death isn’t the end in the demo, as you can continue as many times as you like. You can’t turn back the clock, though, so be sure to keep Leon in top shape! The iconic Green Herb from the Arklay Mountains allows you to recover some health, but it really shines when mixed with a Red Herb to boost its restorative properties. A single Green Herb will still do in a pinch if you’re barely clinging to life. If you happen to come across a First Aid Spray, be sure to keep one on you just in case — it’ll bring you to full health, no mixing required. Zombies are resilient, and just because you put them down doesn’t mean they’ll stay down. While a carefully aimed shot to the head is a good way to stun the shuffling undead and make a quick escape, you may want to try shooting other parts of their bodies for different results. Your end goal is to survive, and sometimes the best course of action is to run away before the situation gets worse! Keep an eye out for wooden boards, too — you can avoid conflict entirely if you blockade certain windows before zombies come crashing in. The R.P.D. is a big place, and it can be a little daunting to figure out where you’re going at first. 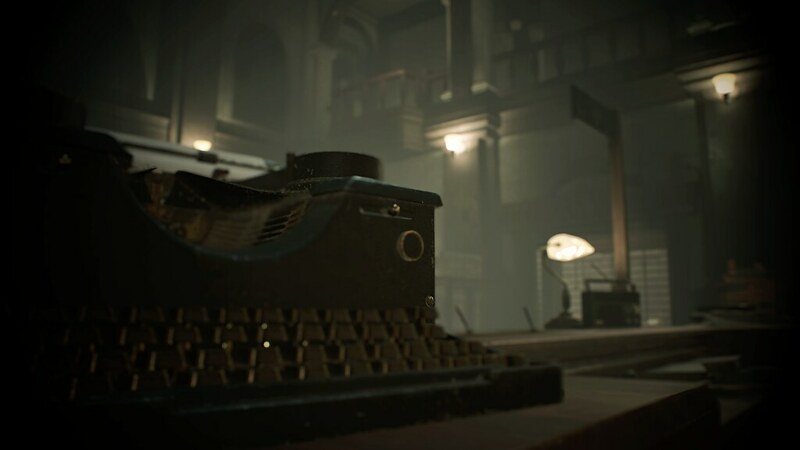 There’s lots to explore in the full game, but to make the most out of the demo, stick to the first floor at the beginning and look for red lights, such as laptop screens, shutter controls, and exit signs to get around. If you’re really lost, press the Options button to check your objectives and take a closer look at your map. Once you meet a certain police Lieutenant, you’ll have what you need to further explore the building. 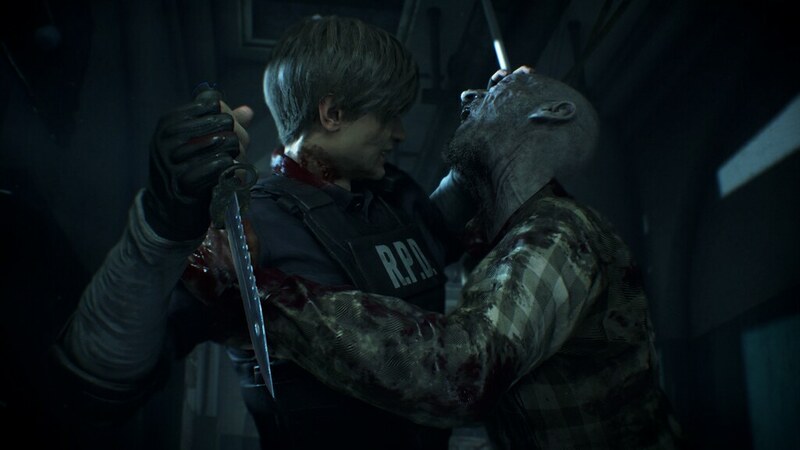 Resident Evil 2 has plenty of puzzles to solve and crucial items scattered all over, so be sure to take a moment to take a closer look at the stuff you’ve gathered. The demo clock will stop any time you’re in a menu, so you’re safe to investigate, rotate, and learn more about each object in your possession without worrying about the demo timer ticking down. You just might learn something about what you’re holding on to! 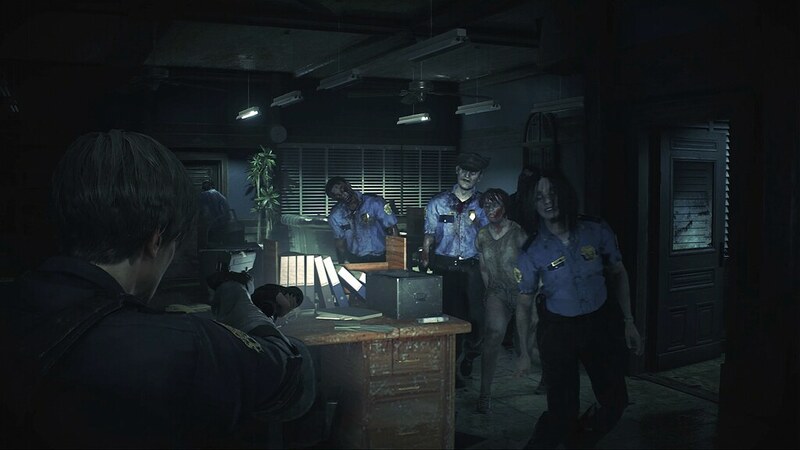 Keep these tips in mind to survive the exhilarating Resident Evil 2 “1-Shot” Demo coming to PS4 on January 11! Regardless of whether or not you complete the demo, you’ll be treated to an exclusive, cinematic trailer that sheds new light on what to expect in the full game. If you can’t wait to get your hands on this amazing remake of the survival horror classic, you can pre-order the game now at PS Store for a special pre-order theme. The Digital Deluxe Edition includes an extra DLC pack with additional costumes for Leon and Claire a “Samurai Edge” handgun model, and “Original Ver.” Soundtrack swap, while both Deluxe and standard digital pre-orders at PS Store will receive two additional “Samurai Edge” handgun models and an additional theme when the game launches on January 25. We’ll see you at the R.P.D.! So we get to play this demo ONCE. For 30 minutes. Then never ever again? Seems silly and unnecessary, but at least it’s a demo before the game comes out…those are a rare breed nowadays. @ hawjboi2009 – For sure…did that with the Watch Dogs 2 trial…doing that with the RE2 demo too,30 min is like a punishment lol. Does the clock start from the moment you launch the game or the moment you start actually playing? Like does the clock go in the Demo’s title screen? The clock starts as soon as you click start and select a difficulty. I was so sad to not play a demo before the game lauches on January 25th but now I will be more desperate for the game once I play the demo on January 11st. Counting the days now, for demo and the full game. So excited to revisit Raccoon City once again. i thought the vr in re7 was a success,it saddens me that it was not implemented in this title, being of similar style as re7 and same looking engine to me. I still gotta have this one, but its not gonna be a pre order for me unfortunately. though i did want that original soundtrack option, thats a great incentive to pre order for y’all. The developer of the game already stated that they would love to do VR for this but it makes it pretty much impossible since of the over the shoulder pov. Gonna be a month full of demos I want to try. This doesn’t make sense. Why would I play a timed demo? I nearly jumped from ma chair with excitement but really?…just 30 min?…damn guys what a way to just tease us and still keep us thirsty.I won’t even be able to walk 2 steps in the game.Anyway thanks for this…I’m dying to play the game but I’ll have to skip the pre-order unfortunately so I’m thankful for this demo even if it’s just 30 min. Let Capcom know…Devil 5 demo too,please. I’m not 100% sure but I think the DMC5 Demo is Xbox exclusive. @Chuck A demo is coming out for PS4 next month actually. I’m very Interested this game is childhood! Especially with the current servers, oh man. Downloads on PS are so stinking slow these days. This is a little silly, the game is about to release and you give a 30 minute demo now. Hell yeah! I was so disappointed the other day when I heard only Xbox One was getting the demo. Can’t wait for the 11th to play this demo! Also can’t wait for the 25th to sit down and play through the full game! Been waiting for this remake since they announced it years ago!!! They dont have to give us anything and it will still sell like hot cakes. Some people want the world on a silver platter…! With such unique demo proposal… I’ll pass. Can’t wait to try it. It might convince me to buy it. So if we played and beat this in 98/99, the only thing to look forward to is better graphics and movement? For 65$ of course? If you think 30 minutes is bad, download Russian Roulette: One Life on Steam. The last time I played a resident evil game I’ve rented it from Blockbuster video and it scared me so bad one night never play again but now I got a PS4 I’m down let’s go get it!!! Hell yeahh, my body is ready to try this Demo. This is gonna be one of THE BEST remasters if not THE BEST remaster ever. Ok it’s the 11th, where’s the demo? I already bought the pre order and I’m so mad that I cheaped out and didn’t get the Delux with swapped soundtrack :’( I wish this had a VR version… why did I buy that thing for? well the 11th is here and I cant figure out how to download the demo…… anyone figure it out yet? Do you only get the demo if you pre-order the game? I just think they haven’t posted it on the store yet…which is just silly. just read that they haven’t released it for USA yet only the UK and Australia have it at this time. Anybody download this yet?I can’t seem to find it anywhere?? Is it in the store yet? I downloaded it on the Xbox One around 11:30 last night. I don’t see it on the Playstation store. It is finally appearing on store, but no link to download yet. Why are you guys soo slow with the upload? Up and downloading on the US store now. I’ve been looking since 9:00 this morning and I cannot find the demo I live in texas but it’s January 11th and I can’t find the demo anywhere on the ps store!!! Well I was unsuccessful searching for the demo on the playstation store. BUT, I searched it up and it led me to the psn store to download the demo. I typed pan resident evil demo. Hopefully that should help! I had to Google it and add it to downloads via web for it to appear in my library to get it. For some reason I can’t find it on psn!!!! There is nothing to do in the demo except getting to the end. Thirty minutes is not enough time to even try to figure out any of the puzzles, or kill the zombies that… for some reason, don’t die. It’s time for the series to really evolve… in a co-op way, not in an action type of way as in 5 or 6. Zombies work well in this series, all we need is decent co-op game play where characters start in different places meet up in the main area, go separate ways to find items, back track to help each other out, then continue exploring. It’s nice to play the game alone, but being able to play with someone else would be even better.